When a small child askes her grandmother what she is doing in the garden the last answer you expect is, ‘Looking for my false teeth.’ It brings spontaneous laughter. The six year old takes over the search, finds the teeth grinning amongst the peonies and will not return them until her grandmother reluctantly agrees the little girl can watch them being re-inserted. 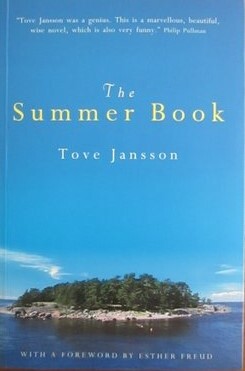 One summer, while staying in the UK, my sister-in-law left The Summer Book by Tove Jansson on my bedside table. 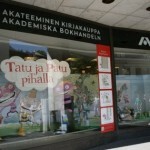 Janssen is better known as the author of the popular Moomin books for children, but The Summer Book and its counterpart, A Winter Book, both drawing on her life in Finland, are for adults. 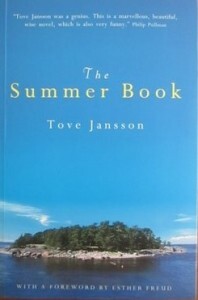 The Summer Book – connected vignettes published in 1972 – has become a Scandinavian classic. Its humour, wisdom and overarching love still draws me in. The interplay between the motherless, direct child and her feisty, defiant yet wise grandmother at the family’s summer house on an island off the Finnish coast is peppered with compassion, surprises and amusing asides, ultimately creating a deep satisfaction. 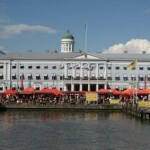 The first time I visited Helsinki was Midsummer’s Eve, the start of Finland’s main holiday season. Shops and offices closed early so people could leave in plenty of time to reach wherever they were to celebrate the arrival of midsummer with parties and bonfires. The pleasure was infectious and at 10pm when the long twilight had begun, we went to a restaurant with friends and dined on reindeer meat – venison – garnished with juniper berries. 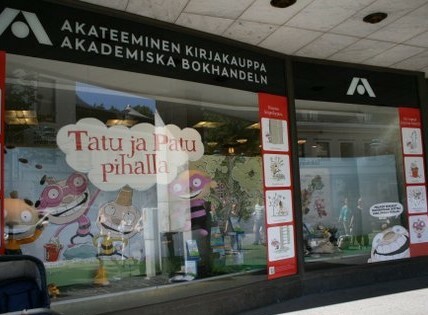 On my other visit, when the sun was gilding the sky at 2.00am, the bookshop in the city’s main street had two, yes two, department-store sized windows filled with the oddball characters Tatu and Patu from a book about Finland. What an acknowledgement of literature for children. At the harbour’s edge market stalls under bright orange umbrellas displayed reindeer leather bags, handmade knitwear, salmon, birch branches for use during saunas, wooden handcrafts, as well as fruit and vegetables. Small boats moored at the wharf sell their produce. On the other side of the harbour massive ferries that ply the waterways between Helsinki, Tallinn, Stockholm, Travemunde (Germany) and St Petersburg disgorged cars and passengers. 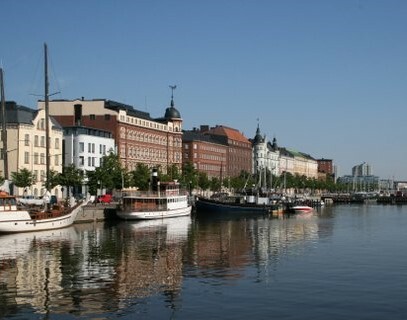 The harbour is dotted with small islands on which people have their summer houses where children rush along jetties to bomb into the water, seemingly unperturbed by its temperature. Every house has its own sauna, but what about all the apartments in the city? On our way back to our hotel by tram the driver unexpectedly treats his passengers to an intermittent English commentary. Where else would that happen? We learn saunas are built into every block of flats where each residence is allocated a time of use. Leaving by plane the flight attendant tells us our next visit should be in autumn when we should take a train north from Helsinki. There we can walk through woodlands and pick berries – including the ethereally named cloudberries. Bears? The attendant smiles. She’s never come across one. 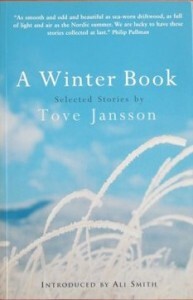 Back home I buy a copy of The Summer Book and later Jansson’s A Winter Book. 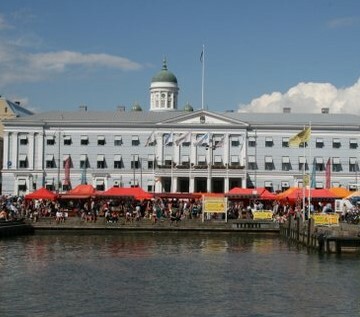 While Winter’s prose is just as beautiful, it is Summer that stays with me, coloured by my own memories of Helsinki’s long summer days, the vivid green and blue of islands, sea and sky, and a deep warmth that has no relation to Centigrade. I haven’t read any of Tove Jansson’s books but I have read about her and I am inspired now to seek out her books and then pass them on to my granddaughter. So glad you’d like to read her books, Elise. Lots of people fall in love with them.